This Is the Watch That Makes a Coin Cell Look Awesome #WearableWednesday #wearabletech @hackaday #Arduino « Adafruit Industries – Makers, hackers, artists, designers and engineers! This watch is a beauty from its apple wood frame to its concentric LED circle display, but the focus is really a coin cell battery. 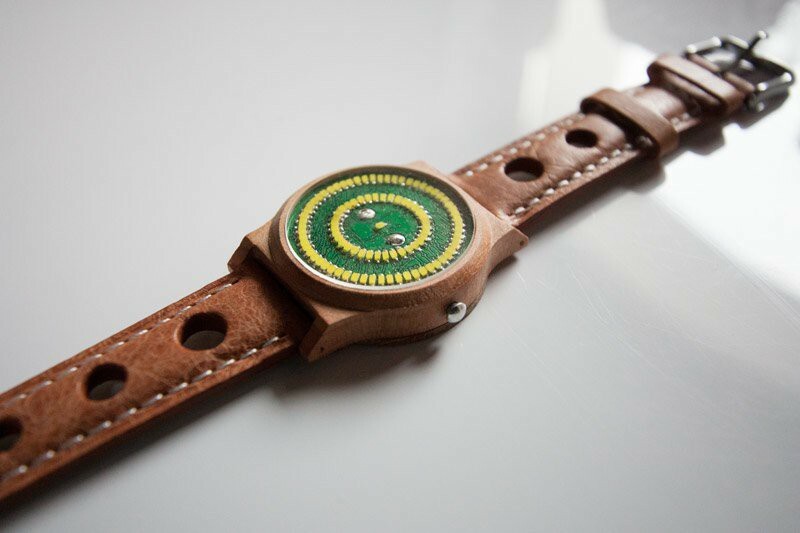 LiquidWatch, spotted on Hackaday, is an entry in their #CoinCellChallenge. Designed by CF, the time piece concentrates on an artistic design with a focus on nature inspired materials. The leather band and wood poses as soil with a face that has light dancing on turf. The PCB uses an ATmega 328P with 97 tiny LEDs, and you can see CF has developed a new square version of the board as well. What makes the watch unique is the different modes, including a single LED or fill-in style display. There’s also a fun way to check battery power and an option for displaying seconds. Check out the watch in action. 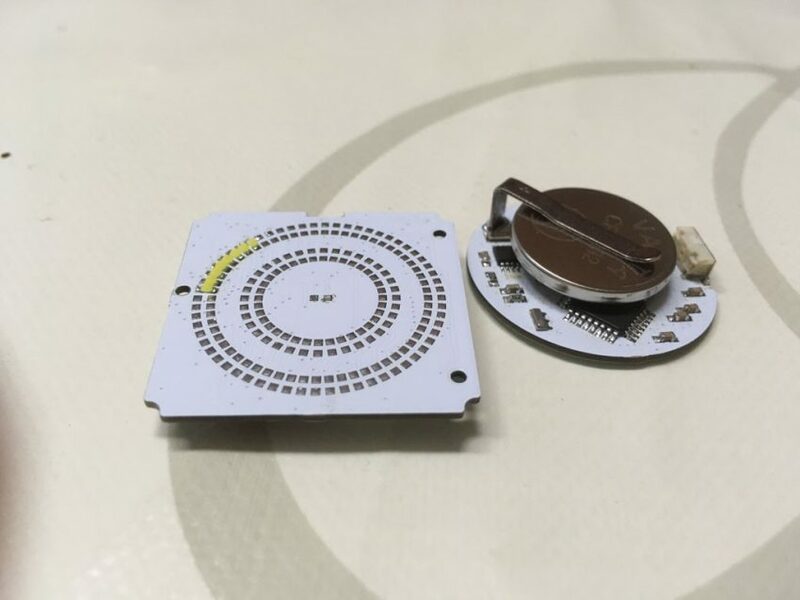 CF definitely has a passion for time devices, so be sure to check out his other projects on Hackaday. If you like the idea of a circular LED time device, check out our learning guide for the Neopixel Ring Clock. Our Flora microcontroller combines with two different Neopixel rings to make a beautiful display while a GPS module provides accurate time. Mount it on a band or wear it as a pendant—you’ll have people asking you for the time and a list of parts. Make time for making time.